In one of the biggest, most passionate industries in history, what are the best titles the beloved medium has produced so far? With the huge influx of indie games propping up the industry with some extra credibility-legs, its about time we took stock and reflected back on not just the best games of the 2000s, but of all time. There used to be a time where you couldnt go anywhere near the idea without an en masse sprouting of Final Fantasy-devotees warping out of the ether to remind you that anything other than part VII was the holy grail of gaming, and nothing could possibly ever match up to its characteristic and unending charm. However, it must be said; times have changed. Last year was one of the most important for the industry  especially upon reflection  as we saw the indie gaming scene finally get to a point where the likes of Sony are taking notice in a big way; promoting such titles as Octodad along with the PS4, whilst other works like Gone Home and Papers Please pushed narrative boundaries and advanced the medium and put an end to the debate around games being regarded as art once and for all. When assembling a list as large as this its important to look at all the qualities that make great games, and not be overburdened by overthinking something along the lines of What is the Citizen Kane of gaming? - because there cannot be such a thing. 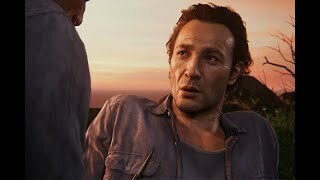 Gamings greatest exude qualities that are specific to the gaming realm, whilst also taking visual cues from the likes of the best comics and visual media, and although the filmic inspirations that make us point to the likes of The Last of Us' production and say thats the pinnacle of an immersive active experience are true, gameplay itself must also play a huge part of this selective process. Kicking things off we have the illustrious 'Creed franchise - one that has had a bit of a trip and a stumble over the years thanks to too many annual instalments, but the third iteration on what has proven to be an irresistible formula nailed things so perfectly it's never been topped. 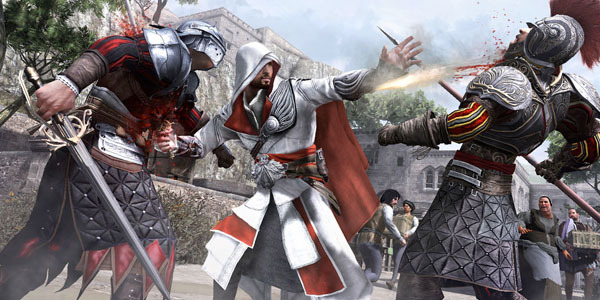 From controlling one of the most likeable protagonists of all time in Ezio Auditore da Firenze through to adding a whole heap of additional missions, to a set of combat mechanics that (at the time) we were still thoroughly enjoying, Brotherhood took the double-bladed innovation of part two and ran with it. Many fans still point to AC II as the high-point of the series being it was the eventual hype-capitaliser the first one didn't turn out to be, but with Brotherhood we saw the inclusion of an entire Assassin order-building mechanic - something that truly made you feel a sense of progression throughout the world, not to mention you could call in the cavalry whenever you liked in-game too. This was the most robust Assassin's Creed yet, again set in one of the most aesthetically rich and downright gorgeous time periods the series would ever visit, and in Renaissance Italy it was all topped off by being the most polished so far despite a few graphical hitches - although they're nothing on the pop-in-filled mess that would become AC III.